On July 1st, 2008, California passed a law that made it illegal to talk on your cell phone while driving, unless the driver had a hands-free device, such as a Blue Tooth enabled headset. The purpose of this legal adjustment was to rid drivers of distractions and allow them to concentrate more fully on the road. When this law was enacted, instead of removing distractions, a new demon came about: texting. Engaging in texting, which requires users to both read, type, and send, suddenly appeared to make talking on the phone much less harmful. In response to this, California made it illegal to text while driving on January 1st, 2009, anywhere within the State, including San Diego County. According to a 2006 study conducted by the National Highway Traffic Safety Administration and the Virginia Tech Transportation Institute, the leading factor in most car crashes and truck wrecks were deemed to be driver inattention. Not all states have laws against talking on the phone or texting while operating motor vehicles. 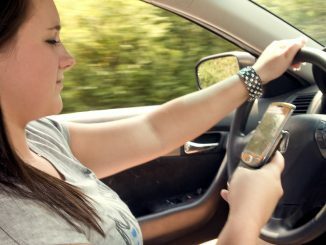 A lot of states are still wrestling with this issue as they have seen a ride in fatal car accidents due to texting and cell phone usage. But all who take the road in California are subject to California laws, and all drivers are responsible for their automobiles and remaining free of distractions. If you or a loved one are the victim of a car accident caused by a driver’s inattention, and especially while on the phone or driving, you deserve to be compensated for your sufferings, and you may need a lawyer to help you win your case. We have the experience and quality in serving the San Diego County personal injury victims. 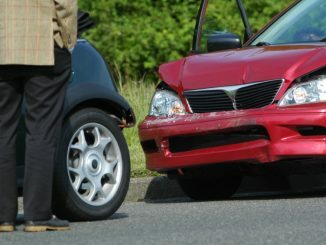 With convenient offices near the trolley line in Downtown San Diego and in Carlsbad, CA for our clients in North San Diego County, we are dedicated to helping the victims of car accidents in the San Diego County and to providing a high level of responsiveness, communication, and personal attention. Postponing a conference call will not kill you; looking down to answer your phone and missing a red light could. Should Doctors Prevent Texting While Driving? 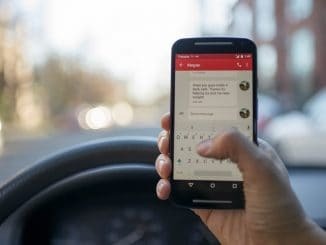 The New England Journal of Medicine recently published an essay where the writing doctor recommended that family doctors begin asking their patients whether they text and drive or talk on their cellphones while driving. A recent essay in The New England School of Medicine suggests that doctors should begin asking their patients whether they drive while texting or talking on a mobile phone. The doctor, Dr. Amy Ship, reports that family physicians routinely ask patients whether they engage in dangerous or risky behavior such as smoking, watching their diet, or remembering to fasten their seat belt. Dr. Ship believes that asking about distracted driving should be incorporated into these risk questions. Distracted driving–whether by talking on a cellphone or texting while driving–is certainly a problem, particularly amongst teenagers and inexperienced drivers. That is why our San Diego personal injury law firm helps sponsor the Teens Against Distracted Driving program where teenagers and their parents can take a pledge not to text and drive. But can asking regarding dangerous behavior be effective to making patients safer? Is it the place of medical doctors to take on the issue of texting while driving as a preventative medicine issue? Is it too much of an intrusion into individual behavior to have primary car physicians ask about their patients’ personal behavior which is not medically related? Dr. Ship takes the position that any efforts to keep patients safer and alive is fair game for medical doctors. She herself initiates the conversation by letting her patients know that texting and talking on the cellphone causes more auto accidents. She then tells them that multitasking when talking on the cellphone is obviously dangerous, otherwise patients would not mind if their surgeon spoke on the phone while operating on them. Anything to increase awareness of the problem of distracted driving helps. Driver distraction is a major cause of car accidents in San Diego and throughout the U.S., and distraction has increased over the past decade largely because cell phone use has become commonplace. Where most of the population used to make phone calls only from land lines in houses, offices, or pay phones, today 93 percent of U.S. drivers have cell phones, and far too many of them have phone conversations while behind the wheel. Recent laws passed in California and other states have limited the use of cell phones in cars, banning acts like texting or holding the phone in one’s hand in order to use it. However, according to the U.S. Department of Transportation, having a cell phone conversation even while using a hands-free device increases the risk of a crash as much as holding the cell phone in one’s hand in order to talk on it. Studies show that a person talking on any type of telecommunication device while driving is 37 percent less likely to be able to respond appropriately to sudden driving emergencies, making them four times more likely to cause an accident. When a person is driving, his or her brain is equally distracted by a conversation, whether it’s over a hands-free device or a handheld one. Understanding what you are being told, deciding how to respond, and then speaking back into the phone may not feel particularly difficult, but every step in the process takes brainpower away from the most critical task: driving the vehicle safely. Our accomplished San Diego distracted driving crash lawyers have helped many injured people and their families get the compensation they need after an accident. We strive to provide the best possible representation for every client. To discuss your case with us free of charge, contact our office today.